Give me the sun and the sea and a little spot to just be. 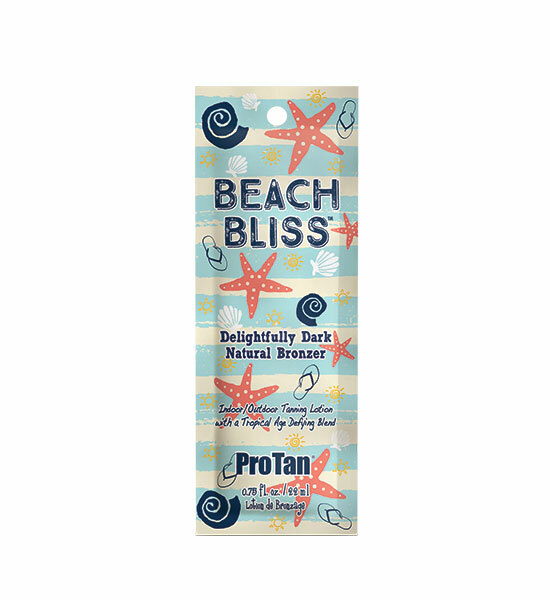 Beach Bliss Delightfully Dark Natural Bronzer will deliver streak free gorgeous color that will leave you bronzed and beautiful. A Tropical blend of Coconut, Lime and Banana Extract will give you just the right touch of hydration to help condition the skin and reduce the appearance of fine lines and wrinkles. I mean, I ve got 99 problems but the beach ain t one. Natural Streak Free Bronzers allow skin to further darken after UV exposure for a darker, longer lasting tan. Tropical Anti Aging Blend helps fight environmental stressors while leaving skin hydrated and smooth for a younger looking appearance.